PresbyCal Desktop Calendar is a full-featured calendar and event scheduling application based on the liturgical seasons of the Christian church year. 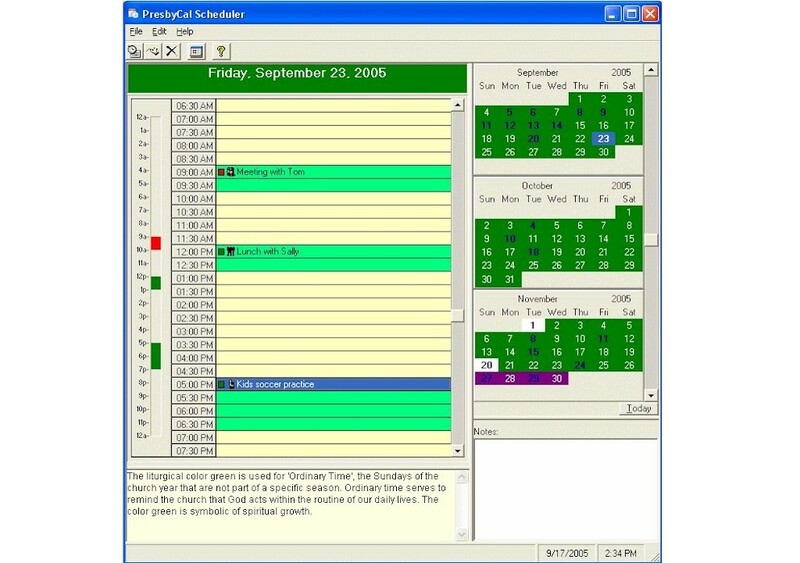 It includes an onscreen calendar that integrates into your desktop wallpaper for easy viewing of your daily appointments, and a scheduler for scheduling events and appointments. The scheduler shows the days of the week in their corresponding liturgical color. Salaat Time is a multifunction Islamic application that calculates the prescribed five daily Muslim prayer times, as well as graphical Qiblah direction for anywhere in the world. It includes a monthly perpetual Hijri-Gregorian calendar with complete forward/backward navigation which highlights important Islamic dates and moon phases. Salaat Time rests in the system tray and at the prescribed times the Athan sounds and/or displays visual alerts. Worship Him makes preparing and executing worship services fast fun and easy. Worship Him's dual monitor support makes presenting song lyrics (and much more) a breeze, whether planned or spontaneous. 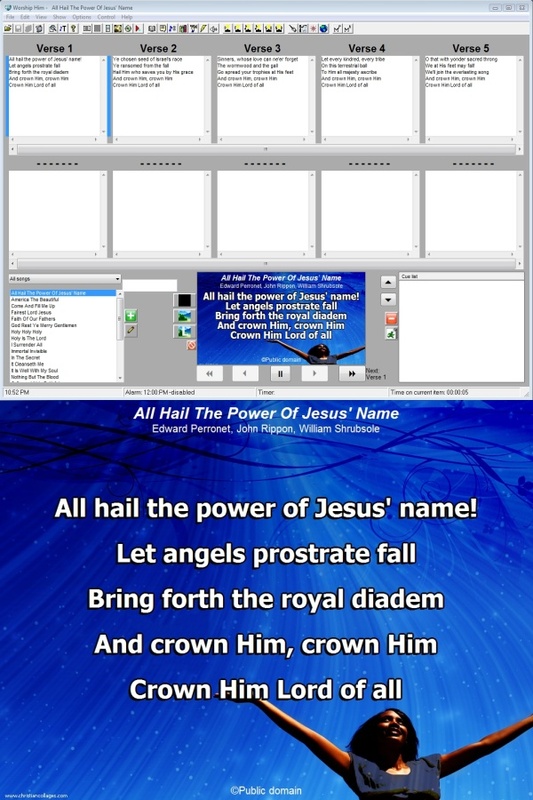 Besides song lyrics, Worship Him also supports Bible verses, announcements, sermon points, PowerPoint, OO Impress, pictures, movie clips, sound clips, DVD clips, CD tracks + playlists, Shockwave/Flash movies, and more. All in one easy to use package. Zekr is an open source Quran study software for research on the Holy Quran. It is a Quran based project, planned to be a universal, open source, cross-platform application to perform most of the usual refers to Quran. The main idea is to build an as generic as possible platform to be capable of having different add-ons and extensions.